Sony Pictures has released a brand new trailer for Venom, the first live-action telling of the popular character of the same name. 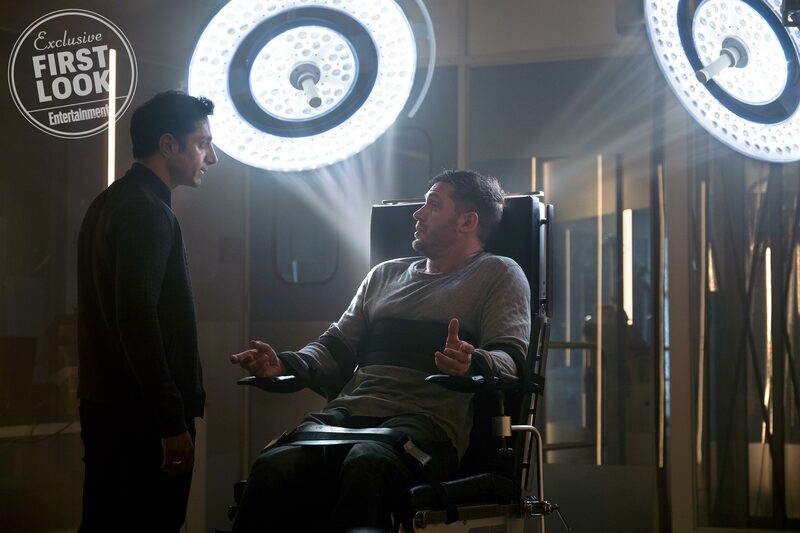 The adaptation is directed by Ruben Fleischer and stars Tom Hardy as Eddie Brock, who eventually gets overtaken by the alien symbiote known as Venom. But what else will the story entail? Find out in the all-new trailer below. This trailer no doubt shows off a lot more footage than previous trailers. For the first time so far, we now understand and feel the real tone of this film, and it’s pretty glorious. While the story isn’t all that interesting in my mind, the tone Fleischer is aiming for is extremely interesting when it comes to comic book films. But that will only get you so far in a full-length movie, and unfortunately, it feels like your overall outlook on it will depend on how you feel about the character beforehand. The revelation from this trailer is the big reveal of Riz Ahmed’s character Carlton Drake becoming another symbiote monster known as Riot. I am a bit nervous his character can become a little too over the top, but let’s face it, the scenes with him and Hardy together, in and out of transformation, look awesome. There’s no doubt in my mind that the action in this movie will be massive. Let’s just hope it can be something more than just an action-filled comic book adaptation. Check out the brand new trailer below, and make sure to leave your thoughts in the comments below! Immediate thoughts after watching it? Am I wrong with my questions? Can this actually be a great overall movie? Fleischer’s Venom also stars Michelle Williams, Reid Scott and Michelle Lee and hits theaters on October 5th.